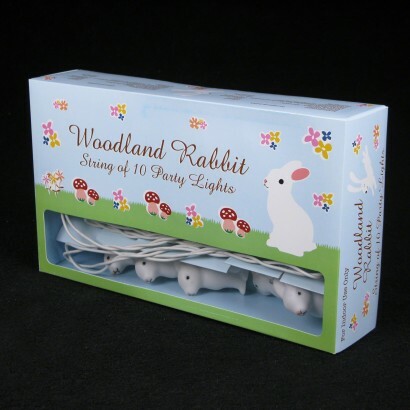 Whether used in the home or to add a little something special to your party, these charming Woodland Rabbit Party Lights fit the bill perfectly. 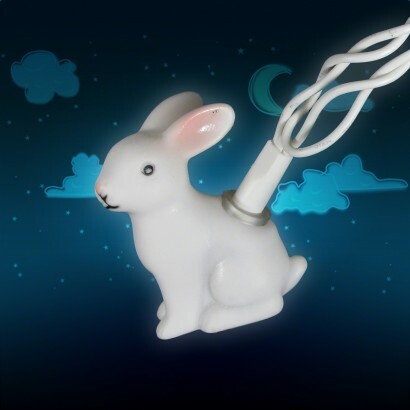 Ten adorable white rabbits are scattered along the mains powered stringlight, creating unique decorative lighting with a difference. 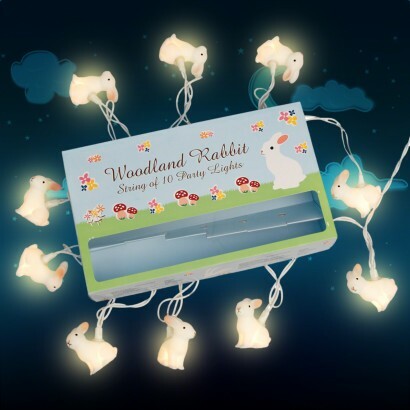 Even sweeter than chocolate, the Woodland Rabbit Party Lights make a lovely unusual Easter gift and will capture hearts all year round. The rabbits are completely adorable and look so pretty. 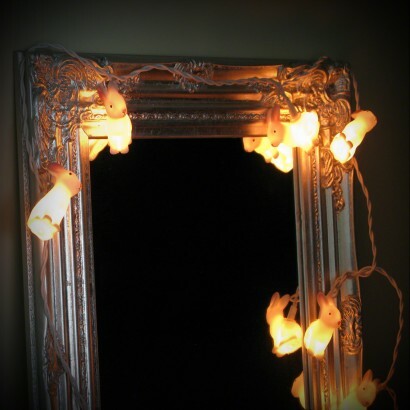 The size and length of the lights make them perfect for indoor decoration and will absolutely delight animal lovers, children and the young at heart. 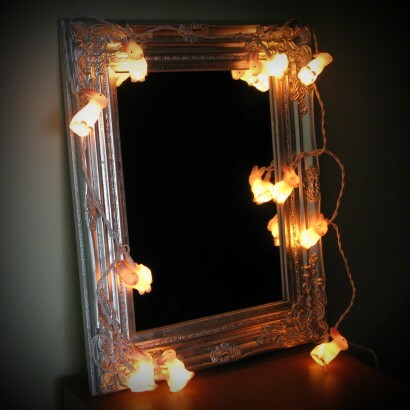 They are good value for money and arrived really quickly - I am very pleased and highly recommend them.